The U.S. Election has concluded and whether your candidate is now our presidential elect or you’re just glad it’s all over, here’s something to celebrate – President Obama signed an executive order last week, cementing the GHSA as a national, presidential-level priority. Commitment to GHSA and fighting outbreaks on a global scale is a huge step forward to combating the health crises we’ve seen and will continue to battle in the future. Since researchers recently debunked the myth of Gaëtan Dugas as a primary source for HIV/AIDS in the U.S., check out more stories regarding the misunderstood “patient zero”. World leaders are starting to realize that the antibiotic clock is ticking away. Donald Trump is the new president elect, but where does he stand on issues like Zika? Here’s a compilation of sources that cover his comments and plans for some of the top issues in science. NPR is looking at his comments on global health and humanitarian aid, while some are trying to figure out what Trump’s administration will mean for them and the need for a transition team tutorial. STAT is asking five questions regarding what the Trump administration will mean for science. Sources close to the Trump campaign have stated that two of the “best-known climate skeptics will lead his U.S. EPA transition team“. RevCon began this week in Geneva and you can catch the U.S. opening statements by Thomas Countryman, Acting Under Secretary for Arms Control and International Security. You can also read Mr. Kim Won-soo’s remarks as High Representative for Disarmament Affairs. The International Committee of the Red Cross (ICRC) vice president, Christine Beerli, has also commented, noting that “States Parties should not become complacent; it remains their collective and individual responsibility to ensure that the treaty is implemented effectively. Over the past five years of annual meetings, a great deal of information has been shared and many proposals have been made on how to implement the treaty and improve its effectiveness. Disappointingly, however, there has been little collective agreement.” RevCon experts will also be focusing on new threats that may arise from technology. Guinea just became the 178th State Party to the BWC! On Friday, the National Science Advisory Board for Biosecurity (NSABB) hosted a call to review policy updates, new activities, updates from the working group on institutional oversight of the life sciences DURC policy stakeholder engagement, and updates from the Blue Ribbon panel that is currently reviewing the 2014 NIH variola incident. The conference call was fast-paced but covered substantial ground – most of it you can find on the Power Point slides. 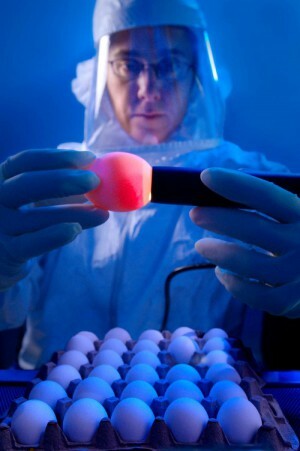 The policy updates focused on initiatives to strengthen biosafety/biosecurity stewardship. The 2016 NSABB report recommended additional, multidisciplinary evaluation prior to funding decisions and appropriate, ongoing oversight if funding were given to projects. It was noted that this is a particularly exciting time for science as we’re seeing so many advancements in human health, however the applications of these technologies are testing the oversight and policies we currently have in place to ensure science is performed safely (and securely). While they may or may not all be under the purview of the NSABB, the emergence of CRISPR and evolution of genomic sequences and gene drive techs, and abilities to create next gen of chimeras – are all examples of biotech that are evolving very rapidly and we may need to rethink how they fit our current policy and framework. NSAAB has been a part of the DURC conversation with policy focus on research responsibilities and institutional approaches. NSABB is also working on how to increase and approach stakeholder engagement in DURC polices. There were several listed strategies and topics, ranging from regional meetings at universities or panel sessions at conferences like ASM and ASV. The biggest focus was on getting dialogue and metrics across institutions, not to mention the need for feedback to evolve an objective oversight system. The Blue Ribbon panel is working on the review of the NIH variola incident but they did note that the event was handled very well and while there were obvious gaps, they were all addressed and that the interagency work between the FBI, NIH, and CDC went very smoothly. Yours truly is talking about the disparaging addiction we have to dramatic science. I’m a fan of any movie that involves an outbreak, but the truth is that an overwhelming majority of these films depict infectious disease outbreaks so outrageously and dramatically, they have become anti-science. After watching the latest, Inferno, it became increasingly apparent that we’ve created a false threshold for science, specifically infectious diseases, in film. By painting the picture of diseases and outbreak response like that of Outbreak, I Am Legend, and more, we’re creating an increasingly de-sensitized culture. The result of this de-sensitization means that it takes a lot more for people to take infectious disease outbreaks seriously in real life. It’s not a genetically engineered airborne organism that will make flesh rot? Meh – not that big of a deal. Our love of bad infectious disease science in film and television could easily create a culture of poor public health support. Ebola Was Just the Beginning…Are We Ready? Peter Piot, Director of the London School of Hygiene and Tropical Medicine, is highlighting the realities that we simply aren’t ready for the next big virus epidemic. Piot discusses his work during the early days of Ebola in the 1970s, pointing to the challenges of attempting to figure out a novel virus while trying to put out the fires of an outbreak. Describing the 2014 outbreak as a perfect storm, he notes that the WHO response was too slow to act. The globalization of our interconnected world has made the capabilities of an outbreak much greater than 50 years ago. “Piot also believes there will be a ‘Big One’, a big influenza, similar to the likes of the Spanish Flu in World War One and we’re not quite ready for it. Yet. ‘Are we ready?’ Piot asked. ‘A little bit better than a few years ago but we’re not yet up to the job. We can’t afford to wait but we have a plan, and that’s the good news. The world has learnt from the problems of mobilisation around Ebola and we are now in a better situation; there is better technology to allow for more rapid diagnosis’.” Piot stresses the importance of investment in infrastructure, stronger global governance, and vaccine development incentives. The Florida Health Department has released their Zika updates here. PAHO has recommended that Bolivian women delay pregnancy to avoid Zika. “Fernando Leanes, PAHO representative in Bolivia, said at a press conference that it was one of several advised measures to avoid the proliferation of microcephaly cases. ‘The epidemic of Zika, from what we have seen in other countries, will have a rise and fall in Bolivia. Therefore, there are options such as delaying the decision to get pregnant in areas where Zika is spreading. This will avoid the dreaded microcephaly and the complications it represents,’ explained Leanes.” An $18 million plan was just announced to release Zika-resistant mosquitoes into urban areas of Colombia and Brazil. “A swarm of Aedes Aegypti mosquitoes–the species that transmits dengue, yellow fever, chikungunya and Zika, have been modified to carry a bacterium called Wolbachia pipientis, which inhibits their ability to spread the viruses. Scientist released these ‘good mosquitoes’ in Brazil as part of a successful international program called ‘Eliminate Dengue’.” Many researchers are wondering why Colombia has had such few Zika-associated birth defects. They are the second largest outbreak in the world, yet have much fewer cases of microcephaly than Brazil. Researchers have noted that adult women in Puerto Rico were significantly more likely to develop Zika than men. The CDC has reported 4,175 cases of Zika in the U.S. as of November 9th, 2016. How Trauma Explains Civil War– Don’t miss this event today at GMU’s Arlington campus, Founders Hall, Room 602. Eric Goepner will be discussing his research as to why “hurt people hurt people” and hypothesizing that a population’s prior traumatization predicts future civil war onset. Happy Friday! The world of biodefense and global health security has been busy this week – between a growing outbreak of E. coli associated with Chipotle restaurants, to a review of Select Agent lab practices, and a recap of the Ebola outbreak in West Africa, there’s more than enough to keep you busy! Fun history fact Friday (it’s our version of “flashback Friday”), did you know that on November 6, 1971, the US Atomic Energy Commission tested the largest US underground hydrogen bomb (code name Cannikin) on Amchitka Island? We’ve seen a lot of news lately regarding lab safety and biodefense reform/recommendations. With so much scrutiny regarding biosafety practices, it’s not surprising the CDC would do a deep dive into “how the agency inspects select agent labs” with a 90 day review. The review notes that while it didn’t duplicate the recommendations from Presidential Order 13546, it did find several areas for improvement, leading to nine observations and ten actionable recommendations. The categories for recommendations are inspections, incident reporting, and transparency. The findings point to several areas for improvement, ranging from the standardization of risk assessments to identify high risk activities, to the sharing of inspection data to better encourage public understanding of the work practices performed with these agents. The report highlights several areas for improvement that will hopefully lead to more stable biosecurity and public understanding of how we handle select agents. You can also check out the Federal Select Agent Program for a list of the agents and regulations involved. GMU’s Greg Mercer is at it again with round three of his review on 2016 presidential candidates and their comments on nonproliferation. As of now, he’s reviewed the Republican candidates, but now he’s delving into the Democratic candidates. Greg reviews Hillary Clinton, Bernie Sanders, and Martin O’Malley, noting that ” in contrast to Republicans, most Democrats support the Iran deal, and generally tend to favor international arms control regimes.” With the race only heating up, stay tuned for more of Greg’s candidate-by-candidate reviews on nonproliferation in the 2016 election. GMU Master’s Open House and Application Deadlines! Considering a master’s degree? Come check out the GMU School of Policy, Government, and International Affairs (SGPIA) Open House on Wednesday, November 18th, 6:30pm at our Arlington Campus in Founders Hall (Room 126). There’s even a pre-session for veterans and active duty military at 5:45pm! The Open House is a great way to learn about our different Master’s programs (Biodefense, International Security, Political Science, etc.) and ask real-time questions with faculty. Our Biodefense Program Director, Dr. Koblentz, will be there to discuss global health security and tell you about the pretty amazing things we get to do at GMU! If you’ve already attended or are planning to apply, just a friendly reminder that PhD program applications are due December 1st, and Biodefense Master’s Spring applications are due December 1st as well. Nine new cases have been identified in Sincelejo, Colombia, with an additional three being investigated in Barranquilla. Zika virus is a vectorborne disease that is transmitted through Aedes mosquitos. The CDC notes that vertical transmission (from mother to child) can occur if the mother is infected near her delivery and Zika can be spread through blood transfusion (although no cases have occurred this way) and sexual contact (one case of sexually transmitted Zika virus has occurred to date). Common signs and symptoms are fever, rash, joint pain, and red eyes that last several days to a week. In the past, transmission has occurred in tropical Africa, Southeast Asia, and the Pacific Islands, however, there have been cases in 2015 in Brazil and Colombia. We’ll keep you updated if transmission continues in South America! There have also been cases of Chikungunya springing up throughout the Caribbean and Americas. The Pan American Health Organization (PAHO) initially reported just over 2,400 cases a few weeks ago, however a new report is showing 13,476 new cases. Initially starting in December 2013, this epidemic began with a single locally acquired case on St. Martin island, and is now totaling 1, 760,798 cases. Just when you thought it was safe to go back to Chipotle (we reported that Minnesota Chipotle customers experienced a Salmonella outbreak in August), an E. coli outbreak is making headlines in Washington and Oregon. Public health officials updated the case total to 41 people as of 11/4, with 6 patients requiring hospitalization. The source of the outbreak hasn’t been identified yet but as a precautionary measure, they’ve closed 14 restaurants. So far, the identified cases have been tied to five restaurants across six counties. CRISPR-Cas9 Utility Broadens – researchers at Massachusetts General Hospital have improved on the utility of CRISPR-Cas9 through application via bacterial sources. The team “reports evolving a variant of SaCas9 – the Cas9 enzyme from Streptococcus aureus bacteria – that recognizes a broader range of nucleotide sequences, allowing targeting of the genomic sites previously inaccessible to CRISPR-Cas9 technology.” The new application allows a more precise targeting within the genomic sequence, which may translate to therapeutic applications. CRISPR-Cas9 has been a hot topic within the science and biodefense community in relation to its potential labeling as dual use research of concern (DURC) and certain ethical debates. Unvaccinated Babies Refused By Some Physicians– Vaccination status is something I’ve grappled with working in pediatrics and is one of the rare things that can turn a calm physician (or infection preventionist for that matter) red-faced and needing a breather. The Boston Globe reported on a recent survey from the American Academy of Pediatrics that touched on pediatricians dismissing families that refused vaccines. The study found that all pediatricians surveyed had encountered at least one parent refusing vaccination for their child and 20% of pediatricians “often” or “always” dismissed families who refuse one or more vaccine. Interestingly, researchers found that “doctors in private practice, those located in the South, and those in states without philosophical exemption laws were the most likely to dismiss families refusing to vaccinate their infant”. Guinea Ebola Tranmission – Guinea continues to experience new cases. As we mentioned last week, the cluster of four patients from the Kondeyah village is being monitored by public health officials. An infected newborn, whose mother died from Ebola recently, is also under observation and care. The infant’s mother was a confirmed case prior to her delivery and died after giving birth. The WHO is currently monitoring 382 contacts in Guinea during this time. What an interesting week! Ongoing salmonella cases, imported plague in Michigan, ISIS was found to be using chemical weapons, and a new prion disease was discovered. Pretty busy in the world of biodefense, I’d say. 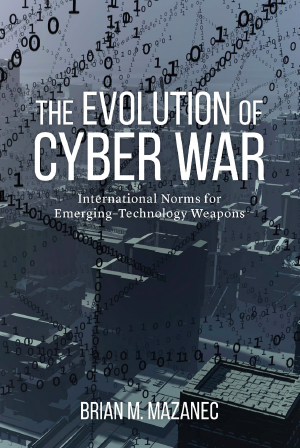 The Pandora Report is also fortunate to share with you a great piece by one of our graduate students, Greg Mercer, who tapped into Google Trends to look at ISIS nomenclature, and an upcoming book written by Dr. Brian Mazanec, regarding cyber warfare. So sit back and relax while we catch up on the week’s biodefense news. Sulfur mustard traces were found on fragments of ordnance used by the Islamic State, as well as on scraps of clothing from victims in Syria and Iraq. There have been several accounts by Kurdish officials that have claimed chemicals, like chlorine, were dispersed this summer, which is concerning for the ongoing use of these internationally banned substances. Testing done in the US was reported by officials on Friday, September 11, 2015, stating that, “there’s no doubt ISIS has used this,”. Officials have also said that the chemical residue recently found does not match known chemical ordinance that was used in the former Iraqi inventory. 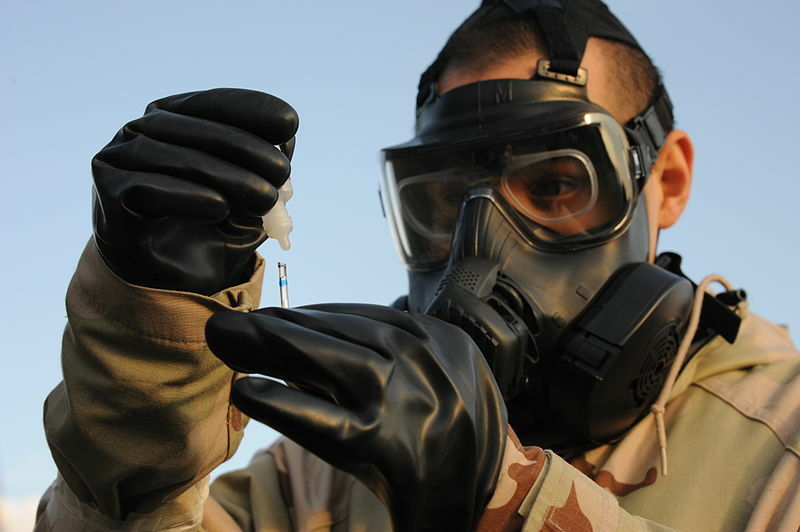 Overall, the use of chemical weapons is highly distressing and the method of acquisition, either manufacturing or from undeclared stocks, is under investigation. A Michigan woman is the second case of bubonic plague that was traced back to the Little Rainbow area of Colorado. The Michigan resident was visiting family in Salida, CO during a music festival in late August. While her exact exposure hasn’t been established, she became ill after returning home and was hospitalized shortly thereafter. Lucky for the diagnosticians, she displayed textbook plague symptoms, leading to CDC involvement and antimicrobial treatment. Fortunately, she was released from the hospital and is beginning the long road to recovery, although it’s probably the last time she’ll attend that particular music festival or go hiking around it…. In February, I wrote about a topic that had been puzzling me- the contentious nomenclature of the Islamic State, or ISIS, or ISIL, or Daesh. I decided to revisit this question now that the issue is a staple in the news, and that we’re probably saying it more frequently while thinking less about what we call it. So I fired up my good friend Google Trends again to take a look. Google is a decent measure of public interest in a subject. It’s the most popular search engine in the world, with 66.78% of search volume worldwide as of August 2015. This time around, ISIS is still the most popular, but Google’s added a feature that tells us a little more. While I suspected that the terrorist organization was driving most of the searches for ISIS before, it’s true that ISIS is the only of the names that has other popular uses, notably an Egyptian goddess, a think tank, and of course a fictional intelligence organization. The new “topics” option in Google Trends lets us identify search volume for an entire subject. The dotted purple line indicates all searches for the organization, regardless of naming specifics. Since the searches for “ISIS” specifically and all of the searches for the organization are strongly correlated, it’s safe to say that mythology enthusiasts, nuclear scholars, and Archer fans aren’t skewing the trends. It’s also still the case that search volumes for all of the names spike with major news events- no surprise there. A couple of takeaways: Looking at the organization as a whole, the two most interested parties (by Google search) are Iraq and Iran. That’s not too surprising. Iran is also #1 for “Daesh”, which is used in both Arabic and Farsi and is considered more a disparaging name. In fact, the Iranian foreign minister told Iranian state media in January (fair warning, this links to Iran Daily) that he hates the term “Islamic State” and prefers “Daesh.” In my earlier article, I noted that other foreign policy practitioners share this sentiment, and prefer a name that doesn’t recognize the organization as a state or representative of Islam. This is also definitely the least popular name in mainstream American media. Ethiopia and Peru are the highest by volume for ISIS and ISIL, respectively, neither of which I would have expected offhand. It’s interesting to see how these trends break down, and to look at a single massive political issue and international crisis with such a proliferation of terms. I think the name that finally sticks remains to be seen. This links to the search parameters I used for this article, so you can play around with the data. This site is really cool if you’re into this sort of thing- you can see what site users choose based on browser, operating system, and device type. Personally, I tried ISIL in the name of accurate translation, but I tended to use ISIS when being flippant, and then it ended up sticking. To get anecdotal, the only person I’ve heard use it is my buddy who does Arabic translation and Middle East studies for a living. GMU’s very own, Dr. Brian Mazanec, delves into the world of cyber warfare and the reality of this threat. “Already, major cyber attacks have affected countries around the world: Estonia in 2007, Georgia in 2008, Iran in 2010, and most recently the United States. As with other methods of war, cyber technology can be used not only against military forces and facilities but also against civilian targets. Information technology has enabled a new method of warfare that is proving extremely difficult to combat, let alone defeat.” Available on November 1, 2015, we’re excited to share Brian’s phenomenal work! Flu vaccination rates went up a bit for the 2014/2015 season, however, the efficacy was only 18% due to an antigenic drift. Fortunately, vaccination compliance for healthcare workers increased and overall rates showed that women were more likely than men to get vaccinated. The Australian government will pass a new law, the “No Jab, No Pay Bill“, that will penalize parents who don’t vaccinate their children by withholding child care and other payments. An additional 77 cases of Salmonella Poona were reported since September 9, 2015, related to the multi-state cucumber outbreak. The total infected is now 418 people across 31 states, with 91 hospitalizations. A new prion disease has been identified by a team of scientists led by Stanley Prusiner. Their report outlines the discovery and the potentially infectious nature of this new prion. This week the round up includes concern of growing antibiotic resistance, MERS CoV transmission, and of course, an Ebola update. Have a great weekend (and don’t forget to get your flu shot)! On Thursday, President Obama signed an executive order to form a government task force and presidential advisory council to address antibiotic-resistant germs. The order calls for new regulations of antibiotic use in hospitals and urges the development of new antibiotics. Scientists at MIT are looking at creating a new class of antibiotic that targets and destroys resistance genes within bacteria. A study designed by scientists from Colorado State University and NIH’s National Institute of Allergy and Infectious Disease has transmitted a strain of MERS CoV from human patient to camels. The camels developed a respiratory infection and showed high levels of virus in nasal secretions for up to a week after the infection. Though the camels recovered quickly, the nasal secretions could be the source of transmission to people who handle these animals. This week, the CDC estimated that there could be 500,000 to 1.4 million cases of Ebola by January if the outbreak continues unchecked. Meanwhile, a professor teaching at Delaware State University is telling Liberians that the U.S. Department of Defense, among others, has manufactured Ebola and warns them that doctors are not actually trying to treat them. Claims like this make it even more difficult for those on the ground to relay accurate information about the virus. However, a reverend in Monrovia is working to spread awareness of proper hand washing and social distancing within his congregation and alumni from a State Department funded exchange program help to spread news of the virus throughout neighborhoods. Unsurprisingly, the Ebola outbreak has essentially crippled the fragile Liberian health system which means people are dying from routine medical problems. The BBC launched an Ebola specific program from West Africa. 10 minute stories are uploaded daily. There were reports that more than 700 people could have been exposed to tuberculosis from a health worker in El Paso, NM and The Atlantic addressed why it has been so hard to create an effective TB vaccine. Inspired by the television show Breaking Bad, a woman in the UK allegedly bought abrin (closely related to ricin) to poison her mother. Another 12 hours at Dulles Airport on Friday and, fortunately, no new travel alerts. This week we look at TB detecting rats, an experimental Chikungunya vaccine, and the latest from West Africa. APOPO, the Belgian nonprofit organization known for using rats to sniff out land mines, has been training the African giant pouched rat to detect tuberculosis since 2008 in Tanzania and 2013 in Mozambique. The trained rats are used in medical centers in Dar es Salaam and Maputo to double check potential TB samples. The rats are unable to differentiate between standard and drug-resistant strains of the disease however, the cost of training and maintenance of the rats is significantly cheaper than the new GeneXpert rapid diagnostic tests. National Geographic—“‘What the rats are trained to do is associate the smell of TB with a reward, so it’s what they call operative conditioning,’ [Emilio] Valverde [manager of the APOPO Mozambique TM Program] said. Chikungunya, of course, is one of the diseases included in the CDC’s travel alerts, and this week we learned of a promising vaccine for the disease that causes fever and intensely painful and severe arthritis. After the vaccine’s first human trials, the next step is to test in more people and more age groups, including populations where the virus is endemic. The trial leader said that it could be more than five years before a finished vaccine could be offered to the public. The news from West Africa seems to be getting worse and worse. Earlier in the week there was good news when a new quarantine center opened in Liberia. Then two days later, that same center was destroyed and looted. All of this comes, too, when the World Health Organization has said there is evidence that numbers of cases and deaths are far lower than the actual numbers and MSF has said that the outbreak will take at least six months to get under control. Al Jazeera—“‘Staff at the outbreak sites see evidence that the numbers of reported cases and deaths vastly underestimate the magnitude of the outbreak,’ the organization said.